Relish in the spaciousness and contemporary feel of our Deluxe Rooms. 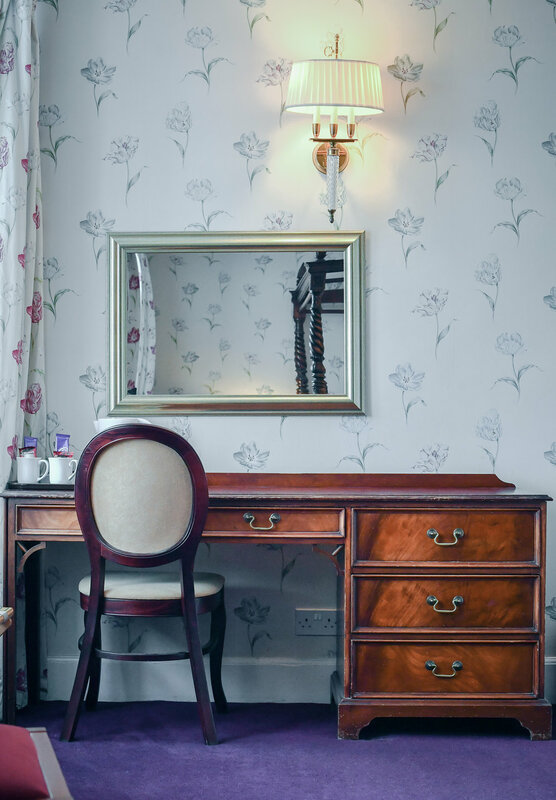 Sumptuous warmth and graceful accents distinguish these meticulously appointed rooms some overlooking the gardens down to the steam railway. All Deluxe Garden Rooms have French doors with access to a private deck and all bathrooms are fitted with bath/showers, free standing sinks and deep-soak bath tubs. There's a high-speed internet connection and 32-inch LCD TV. It is the perfect space in which to immerse yourself in beauty of the Cairngorms National Park or sink into a deep, restful sleep.